Lipsmack! A Sampler Platter of Poets from NBP Year Three 2014 is here! Lipsmack! A Sampler Platter of Poets from NightBallet Press Year Three 2014 is here! We are pleased to present this new anthology: eighteen sparkling new poems by the eighteen poets published by NBP this past year! Featuring poems about song and space, faith and factories, of "butch baby dykes, trying it on" and of lizards and makeup, this Lipsmack! has something for everyone. It rocks, it rolls, it grabs you by the ankles and won't let go! Lipsmack! A Sampler Platter of Poets from NightBallet Press Year Three 2014 features a sweet cover photo by Catherine Criswell. The cover is a thick confetti cardstock with a lipsmacking red cardstock insert. The 36 pages of text are printed on crisp white paper. 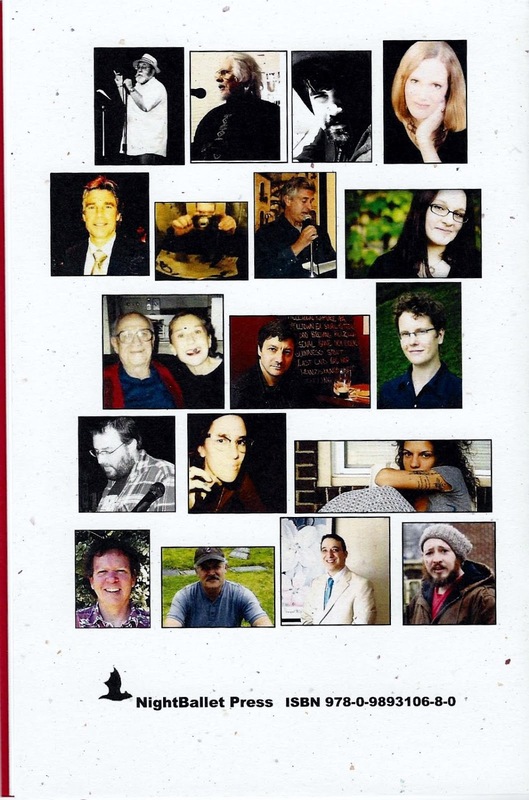 To celebrate the publication of Lipsmack!, we are having a book release party at Mahalls in Lakewood, Ohio tonight (Monday, October 6, 2014), featuring Jennifer Hambrick and Andy Roberts from the Columbus area, Jason Baldinger from Pittsburgh, and Cleveland's own dan smith. That's 7:30pm at Mahalls, 13200 Madison, Lakewood, Ohio! 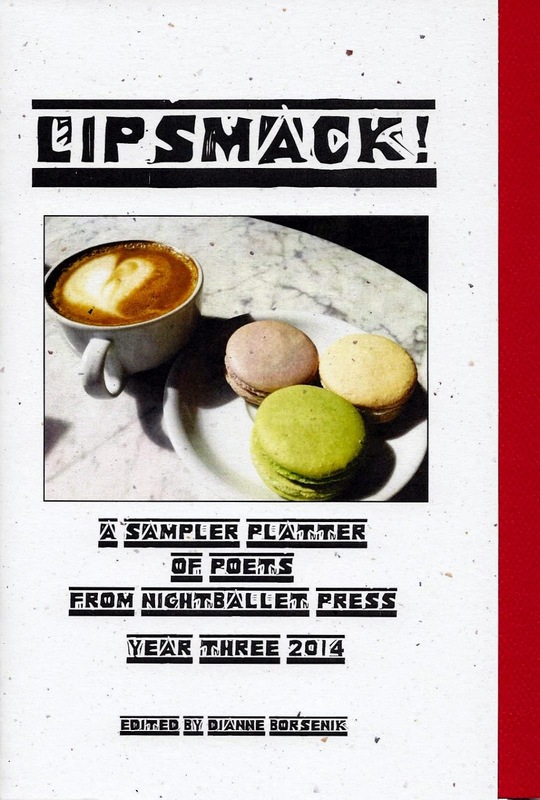 We'll have fresh new copies of Lipsmack! Year Three, plus NBP books by all the featured readers, and copies of the two previous Lipsmack! anthologies, as well. Come and hear some great poetry, groove with friends, and pick up your very own copy of Lipsmack! Year Three! Lipsmack! is only $5 (plus $3 shipping/handling), and is available through mail order right here on this website, or on Amazon! We are caught up in THORN BUSHES AND FISH HOOKS with Zach Fishel! NightBallet Press celebrates today's publication of Thorn Bushes and Fish Hooks by Zach Fishel! Thorn Bushes and Fish Hooks by Zach Fishel is the eighteenth title in the third season (year) of NightBallet publications, and it's a glorious thing! Fishel writes honestly about childhood, family, favorite haunts, yellow catkins, sassafras, Ice Tooth and Old Man's Beard, and Pennsylvania snow. You will feel the crunch of leaves beneath your boots as you walk through this woodsy mindscape. 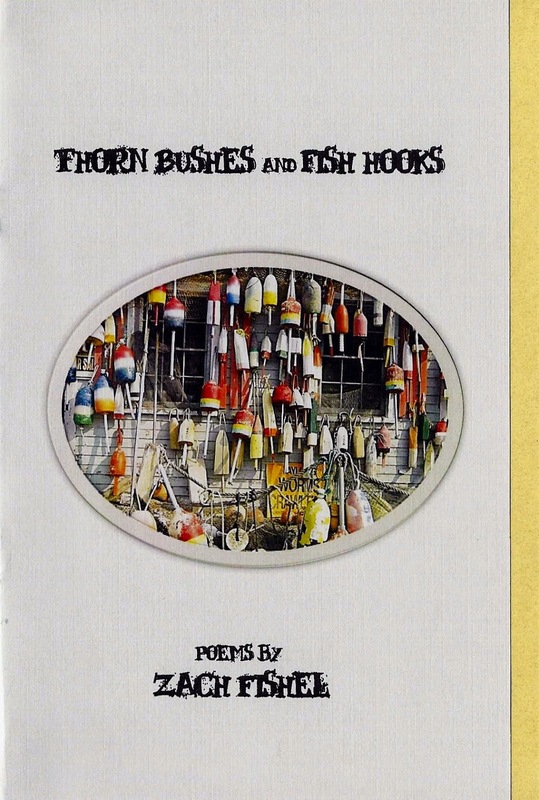 Thorn Bushes and Fish Hooks is 28 pages long and contains 20 beautifully written poems. The cover photo is printed on dove gray cardstock, and the book has a golden yellow cardstock insert. The text is printed on thick white cotton paper. 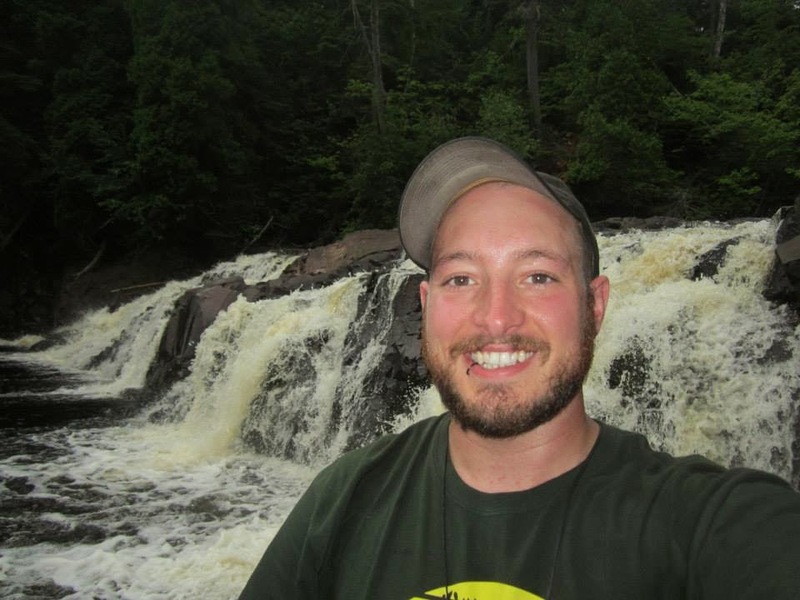 Fishel was born in Central Pennsylvania, and is a poet, outdoor guide, and high school English teacher in North Dakota. He is the author of several books, including Windsock Etiquette, Blue Collar at Best, and Prayerbook Bouquet (published by NightBallet Press in 2013). His poetry has received multiple Pushcart and Best of the Web nominations. He still believes in his lifelong dream of being an astronaut, a cowboy, and a hobo. Order your copy of Thorn Bushes and Fish Hooks today, for only $5 plus $3 shipping/handling! See the PayPal link in the right column on this webpage, or order from Amazon.